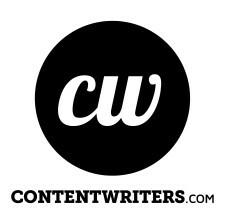 New York, NY, November 6, 2018	(Newswire.com) - ContentWriters is proud to be a featured expo at this year’s Digital Marketing World Forum (DMWF) being held at the Javits Center in New York City. This is the second time in as many years that the content marketing agency has featured at this event. DMWF is an annual marketing conference that focuses exclusively on digital marketing and content creation. The event brings together the best minds in digital strategy, branding, analytics, content, retail marketing, customer retention, and social media. This year boasts an incredibly robust group of industry luminaries such as Kevin Hartman, Head of Analytics - Consumer, Government & Entertainment Sector, Google; Erin Gang, Head of Influencer Marketing, Mattel; Julie Morris, VP Media Partnerships, NBA; Taylor Carlson, VP Brand Development, POPSUGAR; Tim Fullerton, VP Head of Social, WeWork and dozens more. ContentWriters is a natural fit to be featured at a digital marketing conference of this magnitude. They provide written content at scale to many digital marketing agencies, online publishers, and ecommerce brands. They’re able to seamlessly handle large volumes of content creation through their exclusive network of writers that are thoroughly vetted for industry-specific expertise and writing proficiency. You can visit the ContentWriters team at DMWF on November 7th and November 8th at the Javits Center in New York City.